Day 2 of Digital Dozen Negative Space brings you way less flesh on show than yesterday. Thank goodness. I've loved reading the other Digital Dozen girls blog posts, especially where they have commented about their stained nails. It sure is something us true polish-aholics have in common, yellow stained nails, and negative space designs are so hard to make look nice when you have stained nails. Full credit to the girls for their looks and no wonder we are all dreading a whole week of negative space designs. One of the easiest ways to create negative space when you have stained nails, is to make the top part of your nail near you cuticle the bit that is showing nakedness. This is the area where you are least likely to have staining because it's the newest part of your nail growth. You will find that I've used this technique in my next three manis. I love the simplicity of this design, and I wish I could remember which nail artist I saw it on, on Instagram so I could credit them. It was one of those designs that stuck in my head a while ago and now I can't remember where I saw it. So if you know how it was, let me know. I used some hole reinforcement stickers to mask off the half moon area and then painted my nails white. This time I used Pretty Serious Presence. I do love the polish but I'm not able to get away with just one coat, which I was really hoping I could. However it is an easy full coverage two coater that goes on smooth and non streaky. 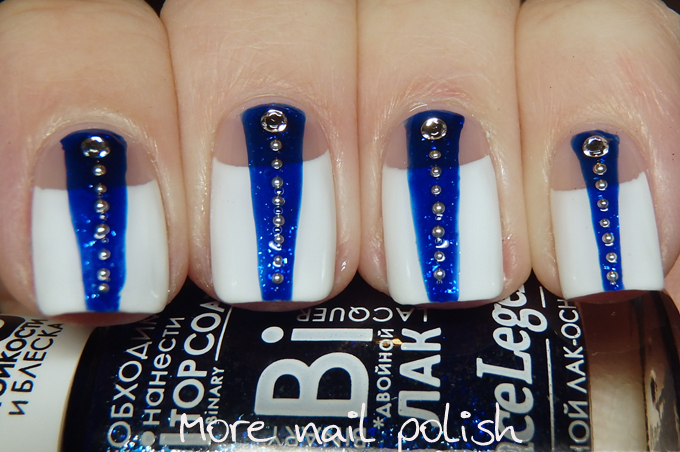 The blue polish is Dance Legend Binary Snezhana, which is a deep royal blue jelly with a strong blue shimmer. 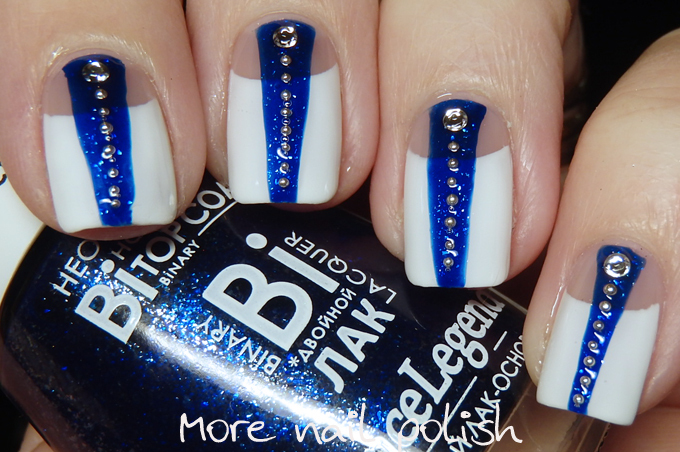 In natural light when worn on it's own at three coats it appears more navy than royal blue, but layered here over white the colour really pops. Dance Legend polish provided for consideration. I love this and want to recreate it now! I still love your nakies too! These are so cool! 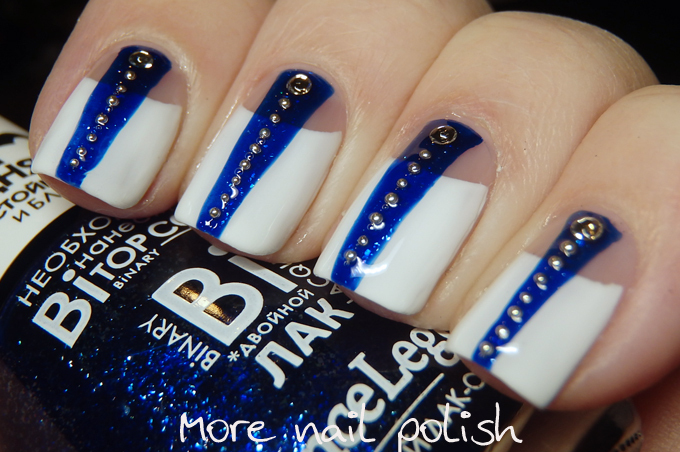 That blue polish is stunning too!